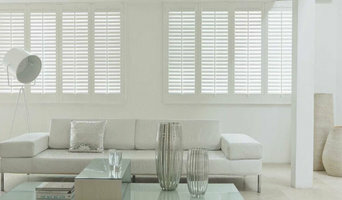 We offer a range of affordable plantation shutters that are created made to measure for your home or business. Providing affordability with no compromise on quality; we ensure that all our wooden shutters are manufactured in premium quality sustainable hardwood and are expertly crafted leaving you with a luxurious look to any room. Whether you’re looking for a contemporary, traditional or relaxed theme, our ranges of commercial plantation shutters can be produced custom made to your requirements. All our wooden shutters come with: - Free expertly installed service with up to 25 years guarantee. - We use only the finest sustainable Hardwood. - Wide range of colours and paint finishes, natural stains or colour matched. - Totally bespoke product so its unique to your home. Find the perfect solution to your glazing and interior design requirements with Designer Range Listers provides the Designer Range of products to deliver the perfect product solution for your requirements. Whether you’re an architect, homeowner, or house-builder, we can help you achieve your ideal outcome with high quality products, professional advice and exceptional service. Established in 1976, Listers is a trusted and well respected company within the glazing and construction industry. We’ve achieved 10 consecutive years of nomination for the National Glass and Glazing G-Awards, and have been a winner 8 times, including three times ‘Fabricator of the Year’ and winner of the prestigious Derek Bonnard Award for Excellence. Lister Projects division delivers the same professionalism by carrying out the installation of this very special product range. After all, when you choose the best products in glazing and interior design, you want to be sure that they will be installed to the highest standards. Listers Projects staff are fully trained, experienced and certified to the highest independent industry standards. They are experts in the supply and installation of market leading systems such as Internorm, Solarlux, Dreamwall and PanoramAH! to name a few. Our Designer Range team pride themselves on honesty. We want to provide the best of quality and service to all of our Designer Range Customers. Our team are just a phone call away for information on our full range of products, and advice on the best ones to suit your project plans and expectations. Ecospheric supply windows and doors direct from the Viking Window AS factory in Estonia; a state of the art facility specialising in the precision engineering of high performance glazing. Delivering direct from the manufacturer cuts costs as well as lead times down to 4-5 weeks. Our expertise in sustainability adds considerable value to our service; enabling us to provide helpful advice on optimising your glazing design, providing calculations for passive house installations, and assisting with technical detailing. The UK's finest designer, manufacturer and supplier of bespoke, handcrafted glass doors, premium timber doors & more. 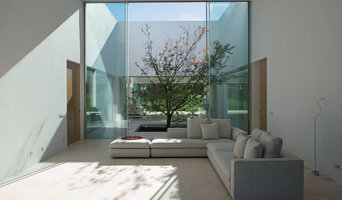 Our expert craftsmen have being designing & creating modern, unique glazing solutions for over 10 years. All our products are made-to-measure and constructed from the highest quality materials. We specialise in providing one of a kind glass work & doors; our professional designers are on hand to talk through all your requirements, plus with our huge range of styles available you are sure to find the perfect feature, or finishing touch, for your space. We are also proud to be the only UK supplier of Portapivot doors: an ultra-modern, high-end, alternative to conventional doors & dividers. Ultra-slim symmetrical sightlines. Representing one of the most stylish and home enhancing entrance solutions currently available, our sliding doors allow end users to enjoy infinite views coupled with the ultimate performance. Each panel is specifically constructed using minimalist aluminium framework to seamlessly blur the line between inside and outside spaces. Glass At Work supply & install glass office partitioning across the UK. For Home or Office, we provide single glazed glass partitions, double glazed glass office partitioning, acoustic glass partitions, fire-rated glass partitioning and fire rated glass doors. Request a free quotation or use our instant cost calculator to order online! Window specialists can recommend the most suitable type of window for your home, whether louvre, leadlight or sash, and will advise on the best positioning for style, function and energy efficiency. They can also survey existing windows for rot, improper sealing, worn hinges, and foggy double-pane glass, and will tell you whether or not a window replacement or upgrade will be necessary. The professionals in this category are also knowledgeable in sliding doors, bifold doors, French doors and other paned portals. 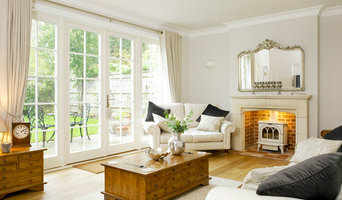 Your window specialist may also work closely with New Mills, Derbyshire, UK builders and architects. Here are some related professionals and vendors to complement the work of windows: Shutters, Blinds & Curtains, Building Project Managers, Home Builders, Specialty Contractors, Cladding & Exteriors. Find a window professional on Houzz. Narrow your search in the Professionals section of the website to New Mills, Derbyshire, UK Windows. You can also look through Photos to find examples of windows you like, then contact the professional who is responsible for them.